We made crispy tofu stars from our own tofu last Sunday. They were delicious, not just because it was our own tofu, but this recipe from the Vegetarian Times is very nice. 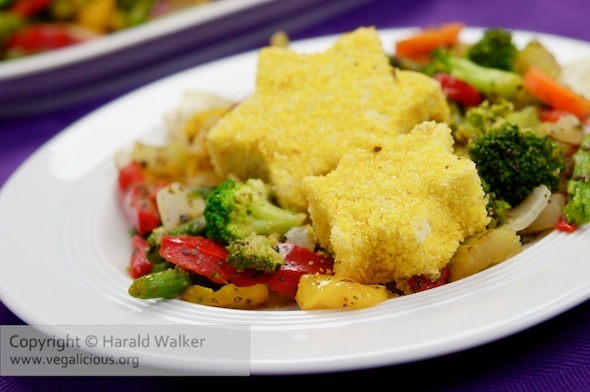 We added salt and pepper and Italian seasonings to the polenta and baked the tofu as the the instructions indicated. They were really tasty on the mixed veggies. It was a quick and easy meal to make. Posted by Chris Walker on December 15, 2010 in Reviews, Tofu.